From Dec09 / Jan 10 Newsletter. I love this so much. 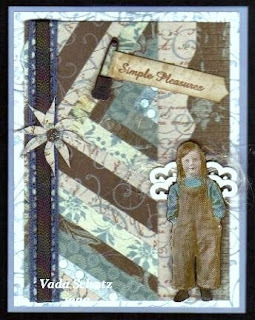 Little Girl is from Oxford Impressions and Simple Pleasures is from Rubber Cottage. Most of the papers are from K& Company.